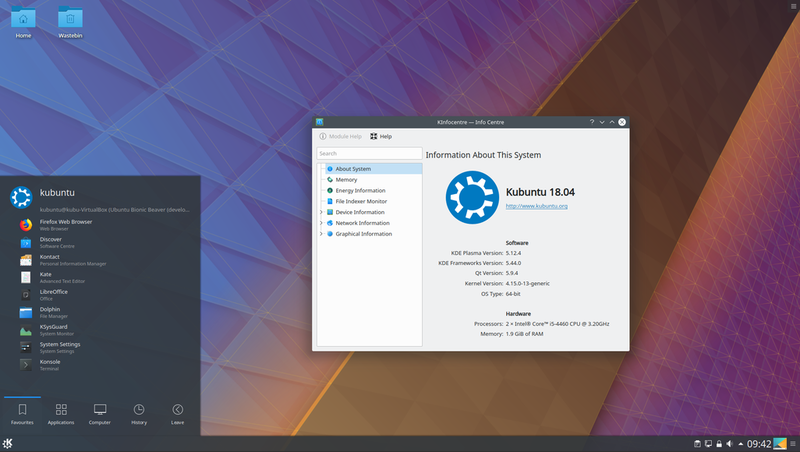 The Kubuntu Team is happy to announce that Kubuntu 18.04 LTS has been released, featuring the beautiful KDE Plasma 5.12 LTS : simple by default, powerful when needed. Codenamed “Bionic Beaver”, Kubuntu 18.04 continues our tradition of giving you Friendly Computing by integrating the latest and greatest open source technologies into a high-quality, easy-to-use Linux distribution. The team has been hard at work through this cycle, introducing new features and fixing bugs. Kubuntu has seen some exciting improvements, with newer versions of Qt, updates to major packages like Krita, Kstars, KDE-Connect, Firefox and LibreOffice, and stability improvements to KDE Plasma. And we have new applications that we’re so proud of: latte-dock, Falkon, kio-gdrive and Peruse, a KDE comic reader. Kio-gdrive enables KIO-aware applications (such as Dolphin, Kate or Gwenview) to access and edit Google Drive files on the cloud. We’ve made some notable changes since 16.04 LTS. VLC is the default media player, and Cantata Qt5 the default music player. Muon is now shipped by default for those who prefer a package manager as an alternative to the Plasma Discover software store, both of which have seen major improvements. We’ve made some important but smaller changes since 16.04 LTS and 17.10. Kubuntu switches to a dark Breeze Plasma theme by default from 18.04, made some changes in default settings and now offer a minimal install option on the ISO. This removes KDE PIM applications, Libreoffice, Cantata and mpd, and some additional internet and media applications. At present a full Plasma Desktop is left in place, plus basic applications and utilities. Firefox as a browser, and VLC as a media player, are also retained. For a list of other application updates, upgrading notes and known bugs be sure to read our release notes. Download 18.04 or read about how to upgrade from 17.10. Note: Upgrades from 16.04 LTS may not be enabled until a few days after the 18.04.1 release expected in late July.